The TSSA has accused Virgin Trains of attempting smear Jeremy Corbyn over #traingate. The company released CCTV footage appearing to show the Labour leader walking past unreserved seats before sitting in the corridor and filming about how over-crowded the train was. 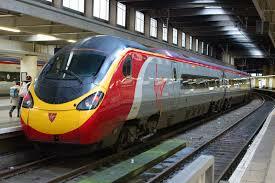 But TSSA general secretary Manuel Cortes said: “Virgin are being disingenuous. Their own CCTV footage does not show empty seats. It shows seats clearly marked as reserved and therefore unavailable. “Only because Jeremy has highlighted this daily travel blight which means people sit on floors on trains every day, even when there are empty seats because they are designated unavailable for use. “The current reservation system is not fit for purpose and we have long called for its overhaul because it makes travel not just unpleasant but often unsafe for both passengers and staff. “Passengers fully empathised with this story because far too many of them are having to put up with the sort of travel that Jeremy was right to highlight on a regular basis and have had to pay through the nose to do so.